This U2 and Apple stunt shouldn't provoke quite so much rage as the last one. 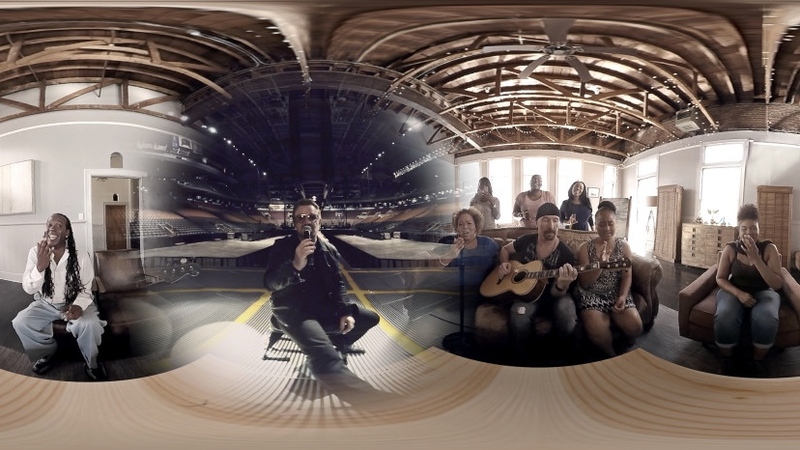 Chris Milk, head of high end VR production studio VRSE, has made a virtual reality music video experience for U2 which shows fans around the world singing the band's latest track. The video for Song for Someone (cringe) is available to view now in the VRSE app for Cardboard and Gear VR. The big deal here? It was commissioned by Apple Music. Now, Apple doesn't have a VR headset or even a VR platform yet so it's interesting that it's helping to create more content for Google and Samsung's innovations. Still, it helps to enhance Apple Music's image as being in tune with fresh, new ideas - whether it's new bands or new tech. You may have seen it on an Apple branded bus outside the O2 Arena in London this weekend. It's no surprise that the head of Apple Music, Jimmy Iovine is involved. Milk told Wired: "Jimmy Iovine is, of course, interested in music and innovation and has been a huge supporter of this project from the beginning—and was instrumental in making it come to fruition." Earlier this week, The Weeknd - who performed at Apple Music's launch - released a 360-degree music video of the Eminem remix of the track The Hills which was co-commissioned by Apple Music. Shot on GoPros and produced by director Nabil and designer Tino Schaedler (who also made the Foals VR vid), the dark and moody two minute video was made for the MTV Europe music awards and can be viewed in the YouTube app on Google Cardboard or above in Chrome. So it looks like we can expect more virtual reality videos from Apple and its celebrity friends - a "post-apocalyptic" VR video for Muse, made by VRSE, has already been confirmed. The tie-ins with Apple Music (the use of the logo and encouraging viewers to listen to more using the streaming service) show the kind of benefit VR music videos could have. And you never know, if all looks promising, we could see a late entry into VR hardware from Apple in 2016 or 2017.